and the extreme rarity of meeting Sumo Champions in the flesh will all make your event UNIQUE. 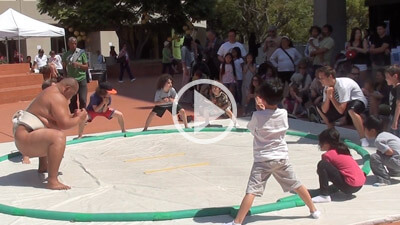 Sumo exhibitions and competitions provide education, cultural experiences, amazing athleticism, and just pure fun! We produce the US SUMO OPEN, one of the world’s top annual sumo competitions, since 2001! We also develop other sumo tournaments, customized for your city, venue, and audience. If you want a unique, live sports event, where audiences are enthralled by sumo’s power. What impresses clients more than gargantuan, live sports action at your corporate get-together? 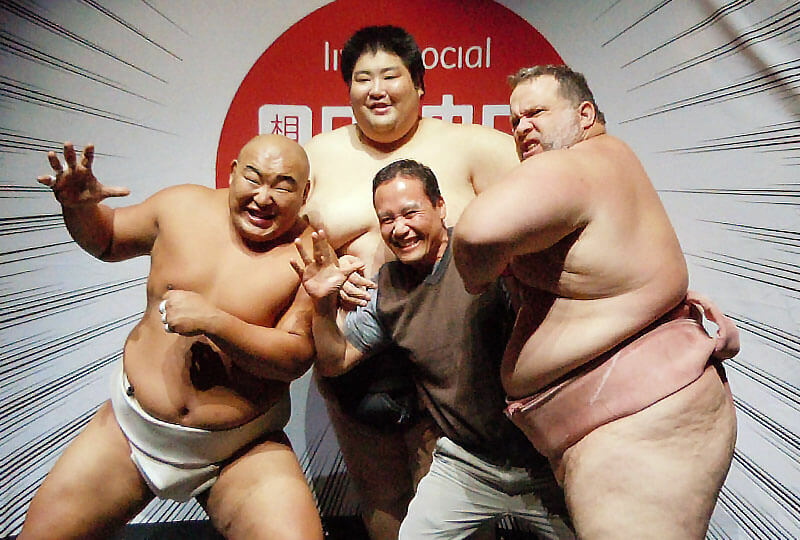 To make a huge impact, bring elite sumo wrestlers makes big hit your trade show and promotion, marketing. it means, large scale, any type of marketing purpose. Sumo is fantastic entertainment. We produce sumo shows for admission-based events, generating a new entertainment phenomenon! Why not indulge in gourmet sushi and sake, while seeing colossal acrobats smash and tumble through the air, right before your eyes? With over 100 festival appearances in 30 cities worldwide, we attract crowds who flock to, what is for many, a once-in-a-lifetime sumo experience! From Japanese cultural events to sports expos, museum events, and more, live sumo exhibitions are a highlight of any large public gathering. 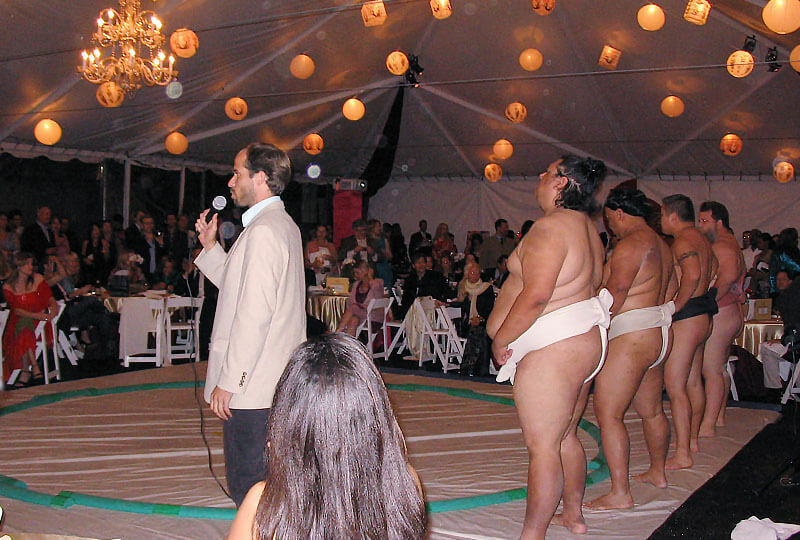 Live sumo action can happen in your venue, whether a private club, mansion, museum, or other location. Our World Champion level sumo wrestlers appear as birthday surprises, as prime entertainment at private gatherings, and at ceremonies and parties of all kinds. If you want to “wow” your guests. We produce sumo events in stadiums worldwide. Imagine 30,000 people, glued to the live sumo action, or crowds of 20,000+ entertained for hours by just a pair or World Champion level sumo stars! We’ve done it globally, even doing sumo for hours in the Texas Motor Speedway. 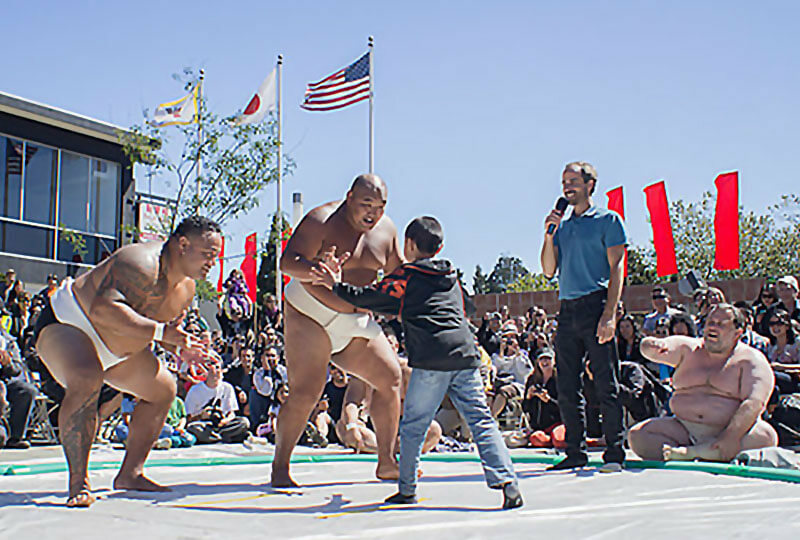 We’ve held dozens of sumo lectures and demonstrations at schools nationwide and abroad, including vocational training programs! Sumo is an awesome and entertaining way to teach Japanese culture, martial arts, cuisine, and ritual. Sumo wrestlers not only lecture on history. 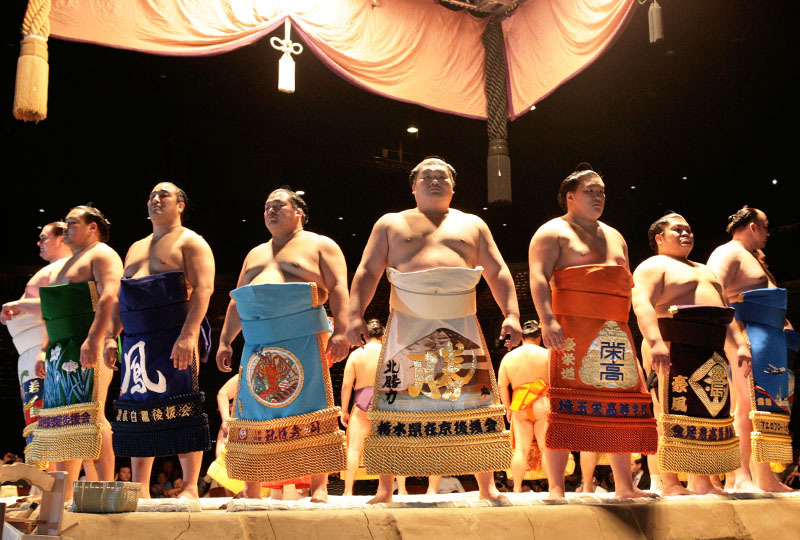 We have worked with professional Japanese sumo wrestlers and the pro sumo organization. Co-producing tournaments and exhibitions in multiple cities. These Japanese heroes perform elaborate rituals, demonstrate amazing feats of balance and power, compete in live.